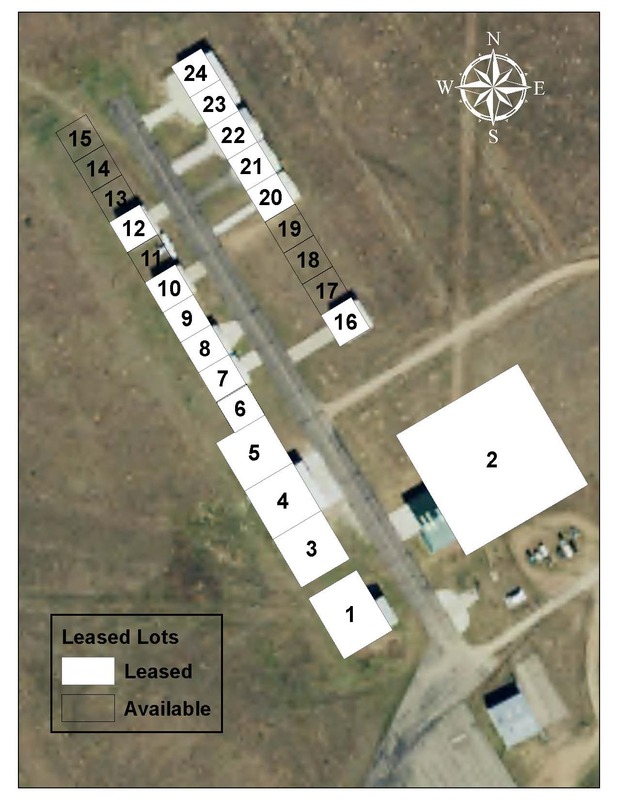 Hangar lots are available for lease. Shown to the right is a map of the current hangar lots. Clear lots are available for lease. Lots 1,3,4, and 5 are 80'x80'. Lots 6 through 24 are 50'x50'. Other lots are available for T-hanger development and larger private or corporate hangars. Contact Bob Jolley (Treasurer/Airport Manager) for more information.